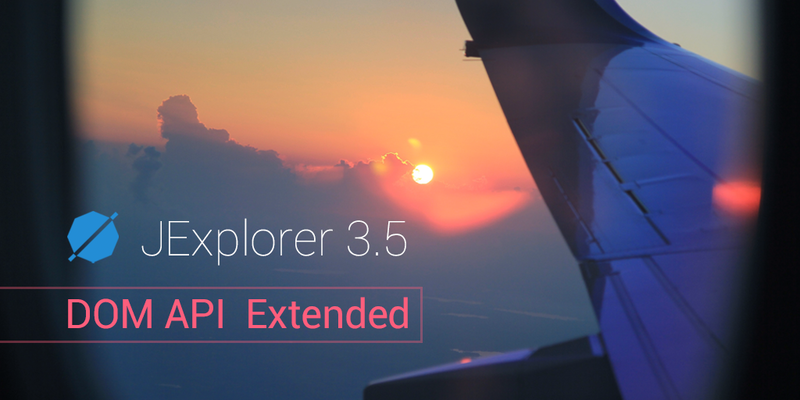 A new version of JExplorer, containing extended DOM API is already available for download. Please see the full list of what has been added and fixed in this version on the JExplorer Release Notes page. We'd also like to remind you about a special offer for all JExplorer licence owners: you can modernize the browser component in your project to Chromium-based JxBrowser with a 25% discount from its regular price. To claim your discount just drop a line to sales@teamdev.com.